Busy parenting and sometimes I didn't take care well of myself. Yeah having constipation and it's not a good feeling at all. If you have constipation before you will know how it feels. 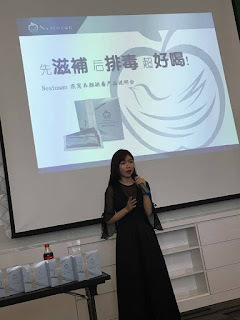 Not long ago Nestosan has an event with bloggers. We need to take care of our big intestine. It aid better immune system and overall detox. How often do you detox? 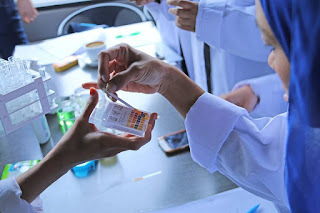 Sharing with you this is organic beverage! Recommended for people who are having bad breath, eat fried food, skip breakfast, sits in toilet very long time, after excreting you still feel its unfinished. 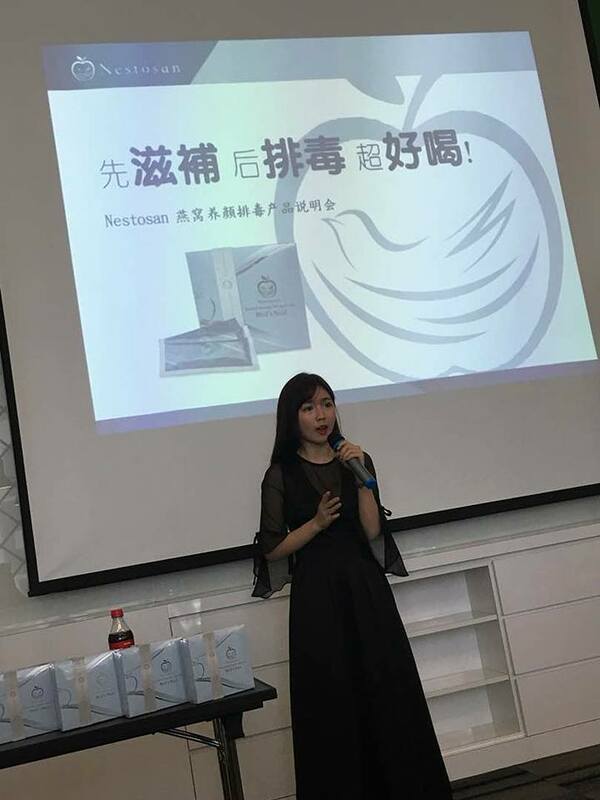 Sharing by Co-Founder Nestosan, Ms Stephanie, she has experienced with constipation and skin problem. Knowing people having similar problem like her, she is here to assist. Now we know the secret of her beauty of being young and beautiful. Nestosan, it has a box has 15 sachets of 12g. 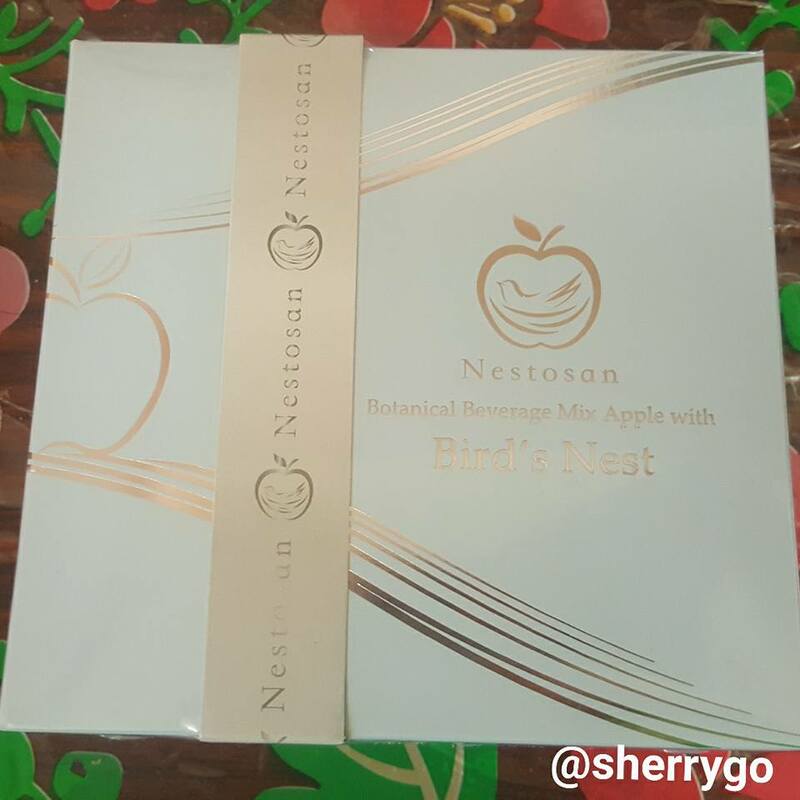 Ingredients: Green apple, bird's nest, Psyllium Husk, Oat Fiber, Isomalto-oligosaccharides, Ab-Kefir (probiotics) . The drink taste like apple and it's safe for consume just add in a 100ml water and stir well to drink. This is suitable for people with lactose-intolerant, vegetarian, and suitable people that allergy to seafood. Do take not do not add in hot water as it will destroy the collagen. You can check out the video above, start taking it daily. Easy and convenient as it is in sachet you can bring to work or travel. Having a sachet in the morning or night. I tried it and prefer to have it in the night, I like the taste of it. After taking this I don't have any more constipation and my friends told me that my skin looks nice too. *Result may vary for individual. 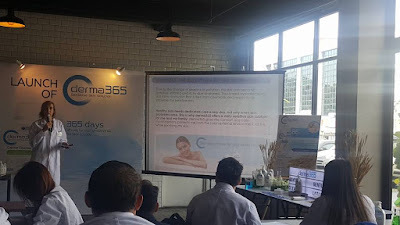 Guardian, the largest pharmacy, health and beauty retail chain in Malaysia will introduce the new derma365 Sensitive Skin Solution which will be available exclusively at Guardian. With changing weather patterns and environmental pollution on the rise, more people are reporting sensitive skin. 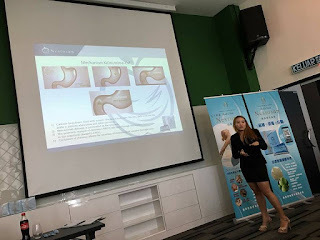 The 2012 International Journal Of Cosmetic Science states that 90% of Asian women have sensitive skin, and experts believe that up to 50% of the global population have some form of sensitive skin. In light of these facts, the time is right for a more affordable sensitive skin solution. 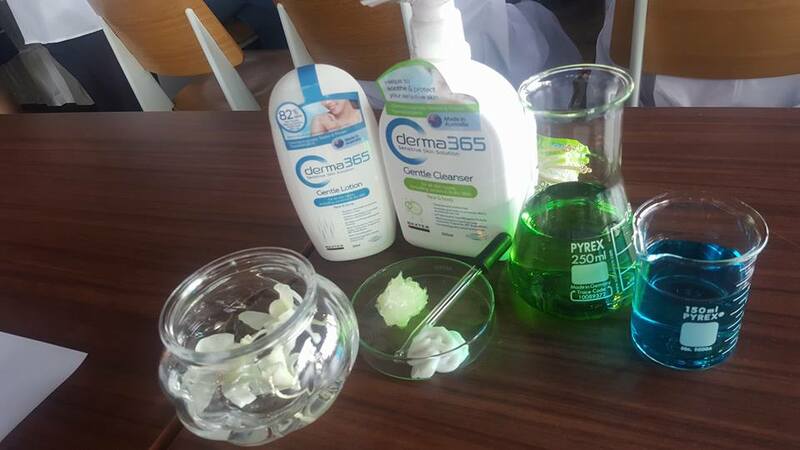 Enter the new derma365 sensitive skin solution that is developed by Baxter Laboratories and made in Australia. 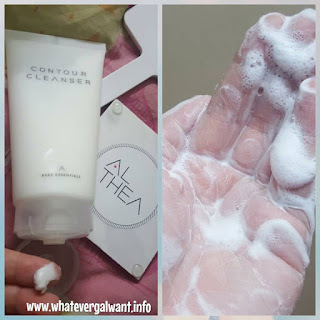 The solution comprises of a Gentle Cleanser and a Gentle Lotion that together cleanses and moisturizers without stripping even delicate skin, making it suitable for those with dry or sensitive skin. It combines natural ingredients such as soothing colloidal oats with cutting edge, scientifically proven moisturizes such as trimethylglycine for a solution that is both gentle and effective, that can soothe, moisturize and protect the skin’s barrier. (From Left to Right) Antoinette Lasjunies, Head of Personal Care, Own Brand, Health & Beauty, Dairy Farm Group, Michelle Yeap, Product Manager, Group Health & Private Label, Guardian Malaysia, Shirley New, Senior Marketing Manager Guardian Malaysia, Mr. Alfonso Roderos, Own Brand Director, The Dairy Farm Company with the derma365 Gentle Cleanser and Gentle Lotion. derma365 relies on the combined power of nature and science with Sensium 2, our multi- benefit complex that helps to soothe and protect sensitive and dry skin. 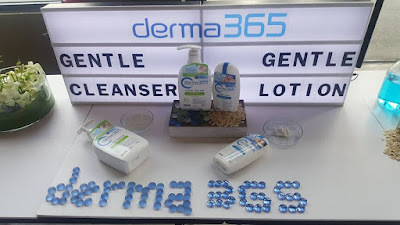 derma365 Gentle Cleanser and Gentle Lotion for all skin types combine organic Colloidal Oatmeal and Trimethylglycine that helps to promote skin’s protection barrier and protects from harsh external environment. Trimethylglycine helps to control water balance in skin and helps to protect from dehydration for soft and smooth skin. Colloidal Oatmeal has been used for centuries as a soothing agent to prevent from dehydration. Its high concentration of starches and hydrocolloid β-D-glucan form an occlusive water-binding barrier that holds moisture in the skin. It also acts as a buffer system, helping to restore the normal pH of the skin. For best results, users are advised to take lukewarm baths or showers using derma365 Gentle Cleanser, followed by the application of derma365 Gentle Lotion to the still-damp skin to moisturise skin. Michelle Yeap, Product Manager, Group Health & Private Label, Guardian Malaysia and Antoinette Lasjunies, Head of Personal Care, Own Brand, Health & Beauty, Dairy Farm Group with all the media repersentatives at the derma365 launch. 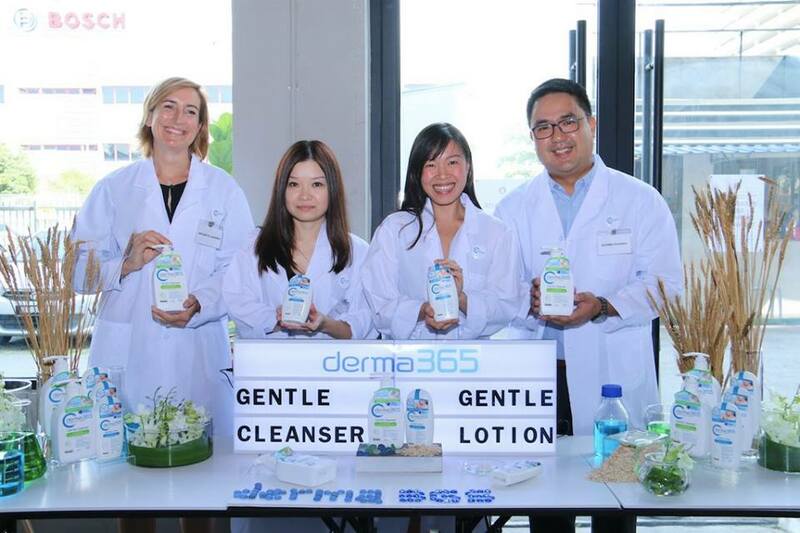 Media representatives comparing derma365 Gentle Cleanser's neutral 6.0 pH value with other local cleansers. 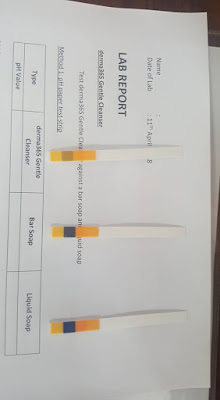 At the event, there's Lab Report paper that media and bloggers are able to try on spot of the pH paper test strips to see the results of it. 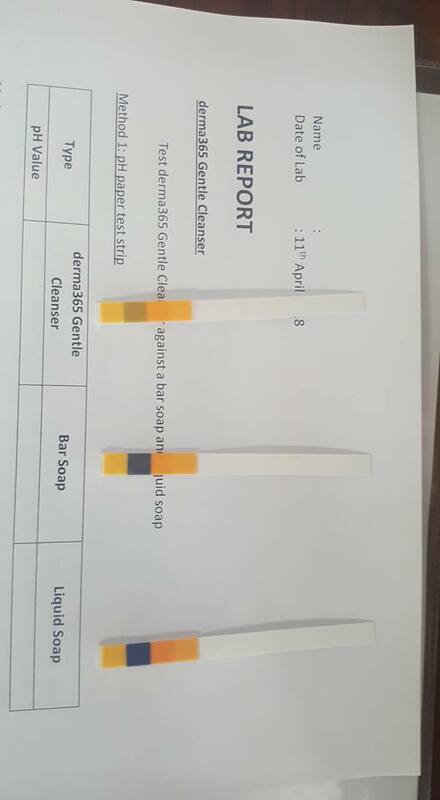 Some of the activities are using the pH strips were each tested on the derma365 Gentle Cleanser, Bar Soap (unknown brand), Liquid Soap (unknown brand). I have tried the products of derma365 at home and I find them suitable for me as sometimes I am having dry and sensitive skin on face or body. This gentle, pH-balanced and hypoallergenic formula, clinically tested and dermatologically proven, is specially dedicated for everyday cleansing and moisturisation. It is suitable for all skin types, including sensitive and dry skin, on both the face and body. It mildly cleanses and soothes dry skin and helps to promote the skin’s protection barrier from external environment. The formulation is free from soap, colourant, fragrance, MIT and parabens, also non-comedogenic that will not clog pores. Priced at RM48.90 for 500ml the derma365 Gentle Cleanser is available exclusively at Guardian. This pH-balanced and hypoallergenic formula, clinically tested and dermatologically proven, is specially dedicated for everyday moisturisation. It is suitable for all skin types, including sensitive and dry skin, on both the face and body. It moisturises the skin and helps prevent dehydration for a soft and smooth skin. It soothes dry skin and helps to promote the skin’s protection barrier from external environment. The lotion is easy to spread, absorbed quickly and has a non-greasy feel. The formulation is free from soap, colourant, fragrance, MIT and parabens, also non-comedogenic that will not clog pores. 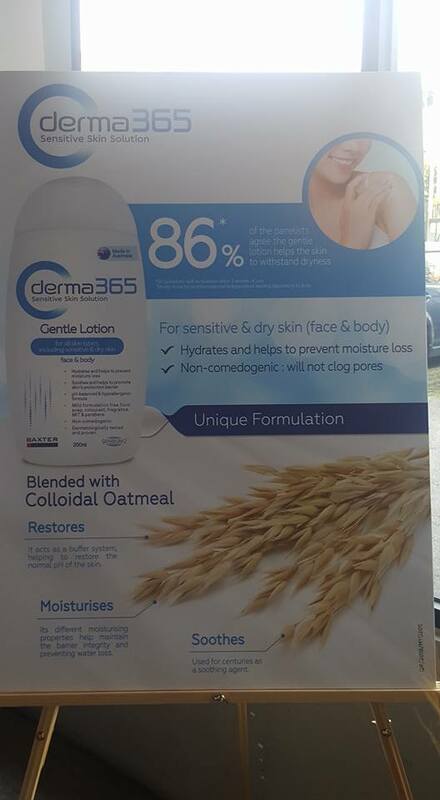 Priced at RM34.90 for 200ml the derma365 Gentle Lotion is available exclusively at Guardian. 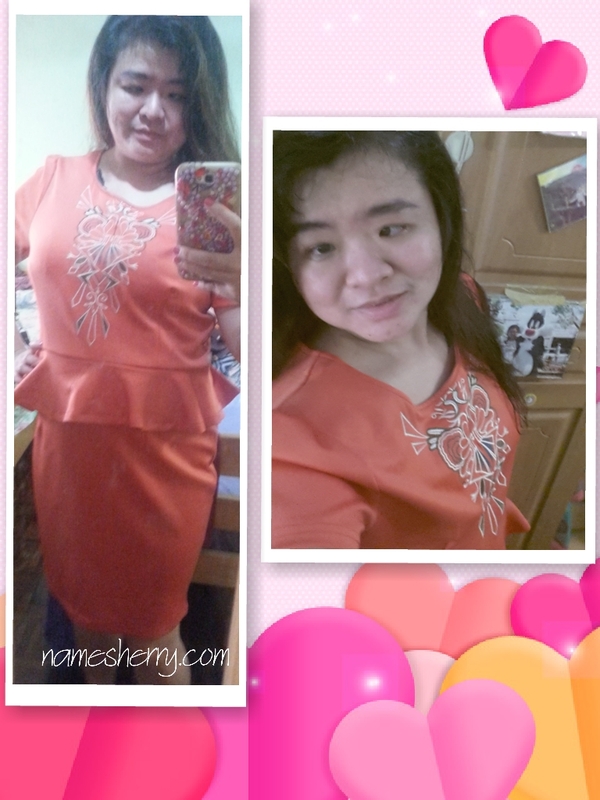 Being mom of two boys, I am active in and out with parenting life. I didn't stop take care of myself as I know we need to love ourselves before loving others. 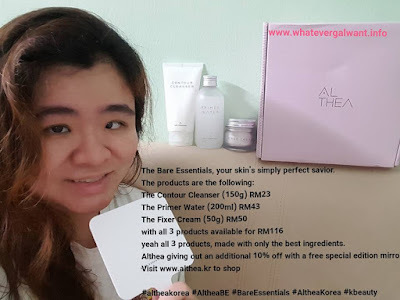 Sharing is caring, this is the Althea's Bare Essentials - your skin's simply savior. 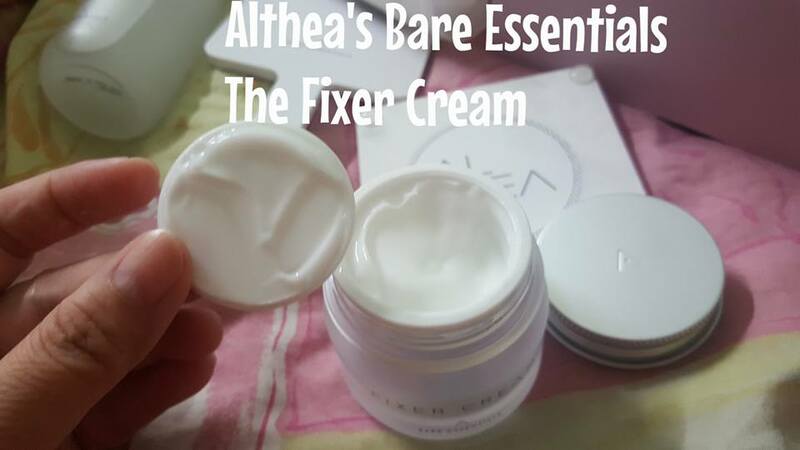 Althea strips down to the bare essentials with this new skincare line. Riding on today's current minimalist, Althea Bare Essentials focuses on skincare fundamentals and drops all the non- essentials. These thoughtfully crafted products give the benefits of the infamous 10 -step Korean skincare routine, rolled into 3 quick and easy steps. The Bare Essentials range consists of three hypoallergenic products suitable for any skin types. Look what's in the Althea box. The Althea's Bare Essentials products. with all 3 products available for RM116 yeah all 3 products, made with only the best ingredients. Althea giving out an additional 10% off with a free special edition mirror. 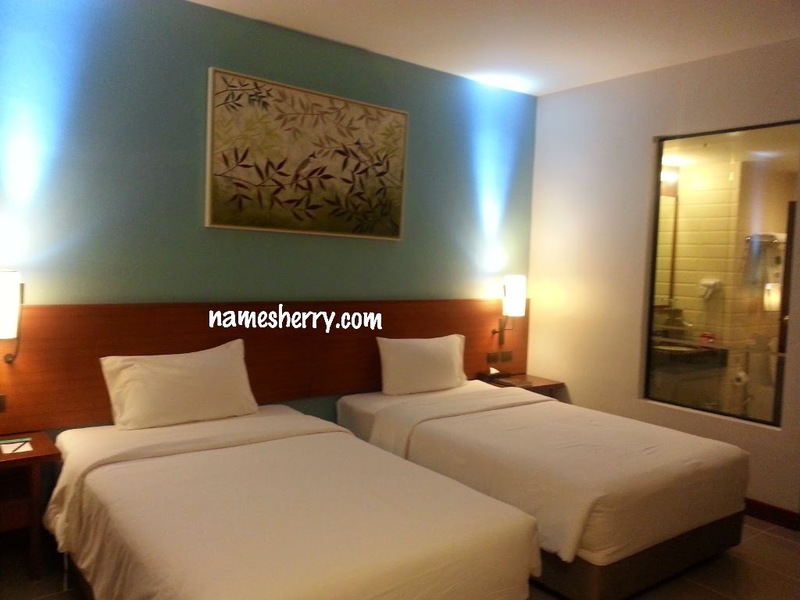 You also see some samples size sachets in above picture which are good for travel use. Love the smell of this cleanser, it is packed with soothing Ice Plant and detoxifying Lemon Myrtyle extracts, this cleanser is densely filled with micro capsules that burst upon contact with water to gently cleanse, exfoliate, and detoxify skin. The Contour Cleansers help to promote blood circulation, and reduces bloating and swelling for a defined, enviably skin face shape. 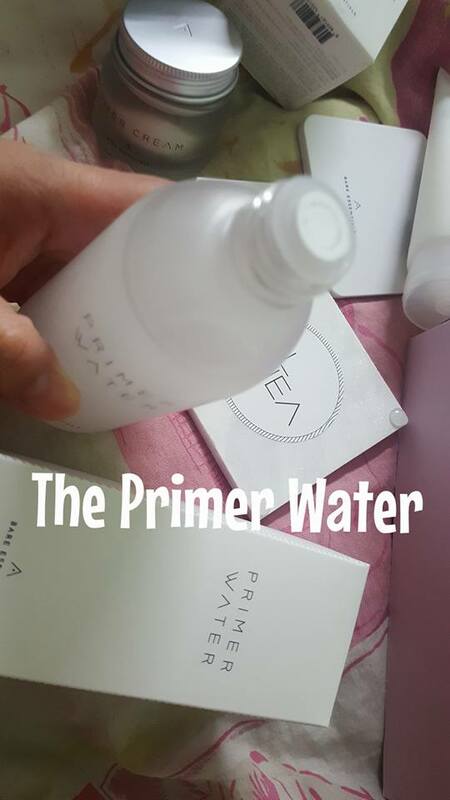 I like this Primer Water because it has the cover after opening the cap. I like to close it back after using it. Both a hydrating toner and a primer in one, the Primer Water contains patented dewdrop technology (Macro Fluidic Dispersion technology) that gently fills the gap between pores and allows hydration to penetrate deep within the layers of the skin. Simple and easy to just pour on palm and massage thoroughly to skin. Made with Snow Lotus extracts, this skincare heavy hitter has an incredibly smooth and silky texture that enhances the skin's natural glow, leaving you with perfact canvas. 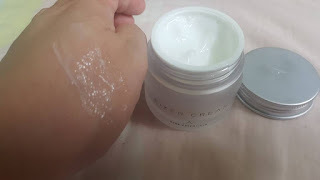 This is one of my favorite cream because it is non oily, quick absorbing formula harness the power of Trehalose, an ingredient found in the cactus plan that prevent its moisture loss, to provide the skin with 24 hour hydration. This ultra nourishing wonder cream is rich in antioxidants derived from Camelia Sinensis (green tea) seed oil, and helps to promote collagen regeneration using Baobab Tree extracts. My skin is looking great and feeling bouncy to the touch after the application. Say no more if you are looking for gift for yourself or loved ones. 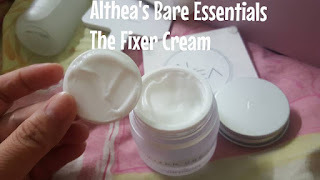 You can check out this Althea's Bare Essentials. With all 3 products are available for purchase at RM116, and made with only the best ingredients, its no surprise that the Bare Essentials line caused quite the craze in the beauty world. Listen up as Althea is giving out an additional 10% off with a free special edition mirror if you purchase now, please visit www.althea.kr if you have interest to shop.